Draft: 2006, San Diego Padres, 2nd rd. Wade Matthew LeBlanc …resides in Lake Charles, LA, with wife, Natalie, and sons, Jackson and Eli…graduated from Alfred M. Barbe High School (LA); was selected by Tampa Bay in 36th round of 2003 First Year Player Draft but did not sign...played college baseball at the University of Alabama…was named the SEC Freshman of the Year in 2004 and earned 2004 National Freshman of the Year honors from Baseball America and Collegiate Baseball…is the all-time strikeout leader (334) for the Crimson Tide and his 46 starts rank second. The Totals - Went 9-5 with a 3.72 ERA (67 ER, 162.0 IP) with 130 strikeouts and 40 walks in 32 games (27 starts) with the Mariners...Make Yourself at Home - Signed to a contract extension through the 2019 season with annual club options through 2022 on July 3...For Starters - Moved into the Mariners starting rotation on May 3 after Erasmo Ramírez went on the disabled list…after May 3, went 9-5 with a 3.64 ERA (60 ER, 148.1 IP) with 118 strikeouts and 37 walks in 27 starts…Seattle was 17-10 in his 27 starts…his 3.64 ERA was 10thbest in the AL after May 3...Career Year - Established career-bests in wins with 9 (previous: 8, 2010 w/SD), starts with 27 (previous: 25, 2010 w/SD), innings pitched with 162.0 (previous: 146.0, 2010 w/ SD) and strikeouts with 130 (previous: 110, 2010 w/SD)...Quality You Can Count On - 10 of his 27 starts were quality starts...Don't Walk - Among Mariners pitchers with at least 150.0 innings pitched in single-season club history, ranks T7th for fewest walks allowed with 40 (also: Taijuan Walker, 2015)...Scoreless Streak - Posted a streak of 19.0 consecutive innings pitched, spanning Aug. 25-Sept. 12…marked the longest scoreless inning streak by a Mariners starter in 2018 and 2nd-longest by any Mariners pitcher (Alex Colomé, 20.0)…was the 2nd-longest single-season scoreless inning streak of LeBlanc's career (20.1 IP, 4/18-5/4/10 w/SD)...Strong Finish - Over his last 7 starts of the season, went 2-2 with a 2.75 ERA (12 ER, 39.1 IP) with 32 strikeouts and 13 walks…3 of his last 7 outings were quality starts...May to Remember - In 6 starts in the month of May, went 1-0 with a 1.72 ERA (6 ER, 31.1 IP) with 23 strikeouts and 6 walks…among AL leaders for the month of May, ranked 4th in ERA and 9th in WHIP (0.99/6 BB, 25 H, 31.1 IP)…the Mariners went 5-1 in those 6 starts...That's Neat! - Turned in one of the best starts of his career on June 16 vs. the Red Sox, tossing 7.2 scoreless innings while allowing 2 hits and striking out 9…allowed 2 hits but faced just 1 over the minimum thanks to a 1st inning double play…retired 22 consecutive batters, spanning the 1st through the 8th innings…his 7.2 innings were his most since April 24, 2011 vs. Philadelphia with San Diego...Ring 'Em Up - Equaled his career-high with 10 strikeouts on July 20 vs. Chicago-AL (also: 9/23/11 vs. LAD w/SD)...In Relief - Began the season in the Mariners bullpen, where he posted a 4.61 ERA (7 ER, 13.2 IP) with 12 strikeouts and 3 walks in 5 relief appearances…worked multiple innings in each of his 5 relief appearances, including a season-high (as a reliever) 4.2 innings of work on April 23 at Chicago…allowed 1 or fewer runs in 3 of his 5 relief appearances, including 2 scoreless outings. Made his second career Opening Day Roster and tossed acareer-high 50 appearances with the Pirates, going 5-2 with one save and a 4.50 ERA (68.0IP, 64H, 35R/34ER, 17BB, 54K,10HR)…tossed a season-high 5.1IP on 4/10 vs. Cincinnati (1H, 1ER, 1HR), his second-longest career relief appearance (6.1IP on5/30/14 with Los Angeles-AL)…posted a 2.41 ERA (33.2IP, 9ER) over his ﬁrst 22 appearances of the season…tossed 3.0 scoreless innings (1H, 1BB, 3K) and recorded his third career save on 5/2 at Cincinnati…hit an RBI single on 5/5 vs. Milwaukee…suﬀered back-to-back "walk-oﬀ" losses on 6/6 and 6/7 at Baltimore…was on the Bereavement List from 8/2-4…was placed on the disabled list fo rthe ﬁrst time in his career with a left quad strain from 8/18-31…did not allow an earned run in his ﬁnal ﬁve appearances after being reinstated from the D.L...earned the win and retired all 9BF on 9/5 vs.Chicago-NL (3.0IP, 1K). Went to spring training with Toronto as a non-roster invitee and began season with Triple-A Buffalo...Surrendered two runs or less in 11 of his 14 starts with the Bisons...Was not charged with an earned run over five starts between 5/7-28 (33.0ip/2r)... Was acquired by Seattle on 6/22 and pitched 6.0 scoreless innings in his first start on 6/24 vs. St. Louis (no-decision)...Recorded his first win of the season with the Mariners on 7/1 vs. Baltimore...Produced his first Major League save on 7/23 at Toronto; pitched final 3.0 innings (3er) of a 14-5 win...Went 3-0 with a 4.43 ERA (44.2ip/23r/22er) in his eight starts with the Mariners...Made last appearance with Seattle on 8/19; was designated for assignment on 8/25...Was acquired by Pittsburgh on 9/13...Pitched 3.0 scoreless innings and earned his second career save on 9/17 at Cincinnati (game 1)...Tossed a scoreless 11th inning and picked up his lone win with the Pirates on 9/23 vs. Washington...Was unscored upon in his first seven games with Pittsburgh (11.0ip) before allowing three runs (one earned) in the last game of the season on 10/2 at St. Louis. Spent season pitching in Japan with the Seibu Lions...Tossed a complete game on 4/2 at Rakuten, allowing two runs and two hits. Spent majority of season with Salt Lake (Angels' AAA), where he led the staff in wins...Won five straight decisions from 4/18 thru 5/21...Was selected by the Angels on 5/25 and pitched a big league career-high 6.1 innings of relief on 5/30 at Oakland (starter Garrett Richards was knocked out in the first inning)...Was designated for assignment on 5/31 and claimed off waivers by the Yankees on 6/3...Made lone appearance with New York on 6/4 vs. Oakland...Was designated for assignment on 6/11...Signed a minor league deal with the Angels on 6/17 and returned to Salt Lake...Went 5-2 with a 4.24 ERA in 12 Triple-A starts before being selected by Los Angeles on 8/21...Made start with the Angels on 8/25 (3.1ip/6er) before returning to Triple-A for one start on 8/30...Spent the entire month of September with LAA, picking up his lone win on 9/23 at Oakland (5.1ip/0r). Was a member of Miami's Opening Day roster and started the third game of the season...Lost his first five decisions before winning his lone game with the Marlins on 6/2 vs. New York (NL) - his final game with the club...Was designated for assignment on 6/3 and claimed off waivers by Houston on 6/8...Made three relief appearances with Houston (3.2ip/4er) before being outrighted to Triple-A Oklahoma City on 6/26...Recorded first professional save on 6/29 at Nashville...Made one more relief appearance with Houston on 8/19 (2.2ip/5r/1er)...Finished season at the Triple-A level. Began season with Triple-A New Orleans in starting rotation, making 16 starts for Zephyrs before earning promotion to Miami on July 1...Despite being with Zephyrs for just half season, ranked third on Club in strikeouts (91) behind Brad Hand (141)and Tom Koehler (138)...At New Orleans, earned Pacific Coast League Pitcher of the Week honors from May 14-20, going 1-0 with a 1.69 ERA (16.0 IP/3 ER) in two starts...Struck out 19 while walking just two...Went 8.0 innings in each start, recording a season-high 12 strikeouts on May 14 vs. Las Vegas...Tossed a season-high 9.0 innings on May 25 vs. Omaha, allowing one run on five hits...Left with game tied at 1-1; Z's fell, 2-1, in 12 innings...Allowed more than two runs in just four of 16 starts, including a season-high nine on May 9 vs. Tucson...Surrendered eight runs on 11 hits on June 10 at Oklahoma City...Also allowed five runs in consecutive starts, April 23 vs. Round Rock and April 29 vs. Albuquerque...Called up to Miami on July 1 and split time between bullpen and starting rotation...Made 16 relief appearances, going 1-1 with a 2.53 ERA (21.1 IP/6 ER)...As a starter, posted 2-5 mark and 3.67 ERA (68.2 IP/28 ER)...Took loss on Aug. 12 vs. Dodgers at Marlins Park despite allowing one run on six hits over 7.0 innings...Equaled 7.0-inning mark two starts later in second game of doubleheader against Arizona...In that contest, allowed three runs (two earned)on five hits, also taking loss...Earned win at Coors Field on Aug. 17, snapping a streak of six straight starts allowing two or fewer runs...During that run, which began on Sept. 17, 2011, against Arizona (3-1 win at San Diego), went 2-2 with a 2.04 ERA (35.1 IP/8 ER)...Over last 12 starts (dating back to Sept. 17, 2011), has gone 3-5 with a 3.61 ERA (67.1 IP/27 ER), while his teams are 6-6...In four home starts, was 0-2 with a 4.09 ERA (22.0 IP/10 ER) and a .287 opponents' average (25-for-87)...Meanwhile, went 0-1 with a 1.59 ERA (11.1 IP/2 ER) in nine relief appearances at Marlins Park, and held opponents to a .189 average (7-for-37)...Over career, is 18-25 with a 4.43 ERA (335.0 IP/165 ER) in 61 career starts, and 1-2 with a 3.67 ERA (27.0 IP/11 ER) in 18 relief appearances. Had five separate stints with Padres. Was first optioned to triple-A Tucson on March28 and recalled on April 10; optioned back to Tucson on April 11 without making anappearance. Second recall was on April 24 for a spot-start vs. Philadelphia in whichhe worked a career-high 8.0 innings; optioned back to Tucson on April 25. Third recallcame on June 14, and again optioned back to Tucson on June 21 after makingtwo starts. Called up for spot-start on July 31 vs. Colorado and was optioned back toTucson on August 1. Recalled for remainder of season on August 8...Went 3-1 with a 3.16 ERA (25.2 IP/9 ER) and a .202 opponents' batting average(17x84) over final four starts, including striking out a career-high 10 batters on September23 vs. Dodgers...Finished tied for team lead in Tucson with nine wins (also, Jeremy Hefner), and finishedwith Tucson on a five-game winning streak, going 5-0 with a 2.40 ERA (45.0/12)in seven starts over stretch...Named Pacific Coast League Pitcher of the Week for June 27-July 3 for start on July1 at Sacramento (8.0 IP, 2 H, 0 R, 0 ER, 1 BB, 6 SO)...At plate, had a career-best six-game hitting streak from August 14-September 17,second-longest by a pitcher in Padres' history. Began the season at Triple-A Portland, making twostarts for the Beavers before being recalled by the Padreson 4/18...Made a career-high 25 starts for the Padres in 2010...San Diegowent 13-12 in his starts...Went 2-0 with a 1.61 ERA (5 ER/28.0 IP) from 4/18-5/11 in his first fivestarts for San Diego, with the Padres winning each of those starts...Was 4-5 with a 2.71 ERA (24 ER/79.2 IP) in 13 starts at home, withthe Padres going 8-5 in his home starts...Picked off eight base runners in 2010, tied with multiple pitchers for the second-most in the Majors...also tied with JimDeshaies (1992) and Dennis Rasmussen (1990) for the second-most pickoffs in franchise history since 1988 (pickoffswere first accurately recorded in 1988)...most pickoffs by a Padre since Deshaies also had eight in 1992...Hit .295 (13-for-44) at the plate, the second best batting average by a Padre in 2010 (no minimum)...finished the seasonwith 49 total plate appearances, one shy of the amount needed to qualify for batting average by a pitcher...his .295average ranks second all-time among Padres pitchers with 40-or-more plate appearances (John Curtis, .297 AVG over41 PA in 1982)...13 hits at the plate are the most by a Padre left-handed pitcher since Dennis Rasmussen had 17 hits in 1990...Posted a career-best 20.1-inning scoreless streak from 4/18-5/4...longest scoreless innings streak by a Padres southpawin a season since LHP Bruce Hurst posted a 27.0 scoreless innings streak from 9/1-17/90...Made one relief appearance on 9/17 at STL (3.0, 4, 3, 3, 1, 1, 1), his second career relief appearance and first since9/28/08 vs. PIT. Split the season between Triple-A Portland and San Diego, making three stints with the Padres.Began the season at Portland and was recalled...6/8...optioned back to Triple-A 6/10 before making an appearance...recalled6/19 and made two appearances before being optioned 6/25...recalled for the final time 8/29 and spent the rest of theseason with San Diego...Went 3-0 with a 2.57 ERA (12 ER/42.0 IP) over seven starts during his last stint with the Padres, allowing a .182 opponentaverage...Worked a career-high 7.0 innings twice, including shutout, two-hit ball in his last start of the season 10/3 vs. SF...Made 24 appearances (20 starts) for Portland, going 4-9 with a 3.87 ERA (52 ER/121.0 IP)...3.82 ERA (48 ER/113.0 IP) and.238 opponent average as a starter...worked a season-high 7.0 innings on five occasions. Saw his first Major League action in September and appeared in five games (four starts) for the Padres after his contract was purchased from Triple-A Portland 9/1...named the Pacific Coast League pitcher with "Best Control" in Baseball America's annual "Best Tools" survey featured in the publication's 8/25-9/7 issue...With the Big League club, went 1-3 with an 8.02 ERA (19 ER/21.1 IP), 14 strikeouts and 15 walks...Held opponents to a .143 average (2-for-14) with runners on with two outs and .154 (2-for-13) with runners in scoring position with two outs...Made three of his four starts against the Dodgers, including two at Dodger Stadium...0-2 with a 9.24 mark (13 ER/12.2 IP) in those outings...Had his Major League debut in LA 9/3, yielding five runs over 4.0 innings in a losing effort...collected first Big League hit with a fourth-inning single...Picked up first Major League win 9/15 at COL, yielding four runs over 6.0 innings with a career-high six strikeouts...went 2-for-2 with the bat in the 11-5 Padres victory...Lone relief appearance came in the club's last game of the season, coming in for injured-starter Cha Seung Baek 9/28 vs. PIT... suffered the loss after yielding two runs over 2.2 innings...Spent the majority of the season with Portland, pitching in 26 games (25 starts)...Ranked second in the Pacific Coast League in strikeouts (139) and tied for third in wins (11)...Third Portland pitcher (first LHP) since the team returned to the PCL in 2001 to reach the 11-win mark...Won the PCL Pitcher of the Week award on two occasions...first earned the honor, going 2-0 with a 0.90 ERA (1 ER/10.0 IP) and 13 strikeouts over two appearances (one start) during the week of 5/26-6/1...allowed just three hits during that span and became the first left-hander since the Beavers returned to the PCL to win the award... honored again after going 2-0 with 13.0 scoreless frames over two starts for the week of 7/28-8/3...yielded four hits and no walks while recording 17 strikeouts...first Portland player since Justin Germano in 2004 to win a PCL weekly award twice in one season...Triple-A debut 4/7 vs. Sacramento, winning and striking out 11 batters to match Portland's single-game high for a pitcher since the team returned to the PCL (also Oliver Perez, 2003 and Steve Watkins, 2004)...also had 11 Ks on 8/2 vs. Albuquerque...Lone relief outing 5/27 vs. Sacramento, coming in behind Clay Hensley who was making a rehab start...collected the win, allowing just one hit with five strikeouts over 5.0 scoreless frames...Went 3-0 with a 0.84 ERA (3 ER/32.0 IP), 31 strikeouts and 17 hits allowed in a span of five starts, 7/13-8/8...allowed one or fewer runs in six of his final eight starts 7/13-8/28, posting a 2.25 ERA (15 ER/60.0 IP) with 49 strikeouts over the eight-game stretch. Split his second professional season between Single-A Lake Elsinore and Double-A San Antonio...led all Padres minor leaguers with 145 strikeouts...recognized as having the best change-up in the SanDiego organization in Baseball America's 2007 Best Tools survey...Combined to go 13-8 with a 2.95 ERA (49 ER/149.1 IP) between the two stops...limited opponents to a .217 average...Promoted to San Antonio in July and helped the Missions to the Texas League Championship...Earned organization Minor League Pitcher of the Month honors in August, going 3-1 with a 2.67 ERA (8 ER/27.0 IP) in five startsduring the month...struck out 29 batters compared to eight walks while holding opponents to a .198 average (19-for-96)...Won each of his last four starts with San Antonio, posting a 1.17 ERA (3 ER/23.0 IP) from 8/17-9/1...Was the winning pitcher in the deciding Game 3 of the Texas League Division Series 9/7, tossing 6.0 scoreless innings andstriking out 10, lifting the Missions to the League Championship series...Earned the win in Game 3 of the League Championship series, allowing one run over six innings for a 0.75 overall postseasonERA. In his professional debut, posted a 5-1 record and 3.02 ERA (18 ER/53.2 IP) in 14 games (10 starts)between Short-A Eugene and Single-A Fort Wayne...Earned the win in his professional debut, tossing 1.0 scoreless inning of relief for a 12-6 Eugene victory 6/29 at Vancouver...Promoted to Fort Wayne 7/24...won his final three starts 8/18-9/2, giving up just two runs in 15.0 innings (1.20 ERA)...Struck out a season-high eight batters over 5.0 scoreless frames in a 4-2 win, 8/2 at West Michigan. Wade LeBlanc: Can I Drive Your Car? April 14, 2019 Seattle Mariners placed LHP Wade LeBlanc on the 10-day injured list. Strained right oblique. March 25, 2018 Seattle Mariners signed free agent LHP Wade LeBlanc. March 23, 2018 New York Yankees released LHP Wade LeBlanc. February 2, 2018 LHP Wade LeBlanc assigned to Scranton/Wilkes-Barre RailRiders. January 17, 2018 New York Yankees signed free agent LHP Wade LeBlanc to a minor league contract and invited him to spring training. November 6, 2017 LHP Wade LeBlanc elected free agency. November 3, 2017 Pittsburgh Pirates sent LHP Wade LeBlanc outright to Indianapolis Indians. September 1, 2017 Pittsburgh Pirates activated LHP Wade LeBlanc from the 10-day disabled list. August 18, 2017 Pittsburgh Pirates placed LHP Wade LeBlanc on the 10-day disabled list. Strained left quadricep. August 5, 2017 Pittsburgh Pirates activated LHP Wade LeBlanc from the bereavement list. August 2, 2017 Pittsburgh Pirates placed LHP Wade LeBlanc on the bereavement list. September 13, 2016 Seattle Mariners traded LHP Wade LeBlanc to Pittsburgh Pirates for Player To Be Named Later. September 13, 2016 Pittsburgh Pirates activated LHP Wade LeBlanc. September 4, 2016 Seattle Mariners sent LHP Wade LeBlanc outright to Tacoma Rainiers. August 25, 2016 Seattle Mariners designated Wade LeBlanc for assignment. June 24, 2016 Seattle Mariners selected the contract of LHP Wade LeBlanc from Tacoma Rainiers. June 24, 2016 LHP Wade LeBlanc assigned to Tacoma Rainiers. June 22, 2016 Toronto Blue Jays traded LHP Wade LeBlanc to Seattle Mariners for Player To Be Named Later. December 18, 2015 Toronto Blue Jays signed free agent Wade LeBlanc. December 18, 2015 LHP Wade LeBlanc assigned to Buffalo Bisons. 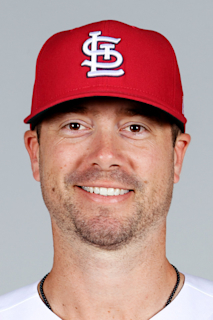 December 2, 2014 LHP Wade LeBlanc elected free agency. October 13, 2014 Los Angeles Angels activated LHP Wade LeBlanc. October 2, 2014 Los Angeles Angels reassigned LHP Wade LeBlanc to the minor leagues. September 2, 2014 Los Angeles Angels selected the contract of LHP Wade LeBlanc from Salt Lake Bees. August 28, 2014 Los Angeles Angels sent LHP Wade LeBlanc outright to Salt Lake Bees. August 26, 2014 Los Angeles Angels designated LHP Wade LeBlanc for assignment. August 21, 2014 Los Angeles Angels selected the contract of LHP Wade LeBlanc from Salt Lake Bees. June 17, 2014 Los Angeles Angels signed free agent LHP Wade LeBlanc to a minor league contract. June 17, 2014 LHP Wade LeBlanc assigned to Salt Lake Bees. June 15, 2014 LHP Wade LeBlanc elected free agency. June 14, 2014 New York Yankees sent Wade LeBlanc outright to Scranton/Wilkes-Barre RailRiders. June 11, 2014 New York Yankees designated LHP Wade LeBlanc for assignment. June 4, 2014 New York Yankees activated LHP Wade LeBlanc. June 3, 2014 New York Yankees claimed LHP Wade LeBlanc off waivers from Los Angeles Angels. May 31, 2014 Los Angeles Angels designated LHP Wade LeBlanc for assignment. May 25, 2014 Los Angeles Angels selected the contract of LHP Wade LeBlanc from Salt Lake Bees. November 11, 2013 Los Angeles Angels signed free agent LHP Wade LeBlanc to a minor league contract and invited him to spring training. November 11, 2013 LHP Wade LeBlanc assigned to Salt Lake Bees. October 1, 2013 LHP Wade LeBlanc elected free agency. August 22, 2013 Houston Astros sent LHP Wade LeBlanc outright to Oklahoma City RedHawks. August 20, 2013 Houston Astros designated Wade LeBlanc for assignment. August 19, 2013 Houston Astros selected the contract of LHP Wade LeBlanc from Oklahoma City RedHawks. June 26, 2013 Houston Astros sent Wade LeBlanc outright to Oklahoma City RedHawks. June 24, 2013 Houston Astros designated Wade LeBlanc for assignment. June 9, 2013 Houston Astros activated LHP Wade LeBlanc. June 8, 2013 Houston Astros claimed LHP Wade LeBlanc off waivers from Miami Marlins. June 3, 2013 Miami Marlins designated Wade LeBlanc for assignment. July 1, 2012 Miami Marlins recalled LHP Wade LeBlanc from New Orleans Zephyrs. March 30, 2012 Miami Marlins optioned Wade LeBlanc to New Orleans Zephyrs. November 22, 2011 Miami Marlins traded C John Baker to San Diego Padres for LHP Wade LeBlanc. August 8, 2011 San Diego Padres recalled Wade LeBlanc from Tucson Padres. August 1, 2011 San Diego Padres optioned Wade LeBlanc to Tucson Padres. July 31, 2011 San Diego Padres recalled Wade LeBlanc from Tucson Padres. July 31, 2011 San Diego Padres activated LHP Wade LeBlanc. June 21, 2011 San Diego Padres optioned Wade LeBlanc to Tucson Padres. June 14, 2011 San Diego Padres recalled Wade LeBlanc from Tucson Padres. June 14, 2011 Wade LeBlanc roster status changed by San Diego Padres. April 25, 2011 San Diego Padres optioned Wade LeBlanc to Tucson Padres. April 24, 2011 San Diego Padres recalled Wade LeBlanc from Tucson Padres. April 11, 2011 San Diego Padres optioned Wade LeBlanc to Tucson Padres. April 10, 2011 San Diego Padres recalled Wade LeBlanc from Tucson Padres. April 18, 2010 San Diego Padres recalled Wade LeBlanc from Portland Beavers. March 31, 2010 San Diego Padres optioned Wade LeBlanc to Portland Beavers. August 29, 2009 San Diego Padres recalled Wade LeBlanc from Portland Beavers. June 26, 2009 San Diego Padres optioned Wade LeBlanc to Portland Beavers. June 19, 2009 San Diego Padres recalled Wade LeBlanc from Portland Beavers. June 12, 2009 San Diego Padres optioned Wade LeBlanc to Portland Beavers. June 8, 2009 San Diego Padres recalled Wade LeBlanc from Portland Beavers.